Free books will be emailed to you right away. How to have back pain relief for different types of back pain. The good news is that natural methods work better than the medical model. 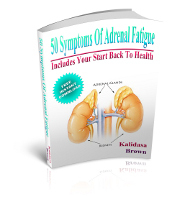 50 Symptoms Of Adrenal Fatigue are covered in this free book. There is also information about how traditional Chinese Medicine treats the condition.